Blå Gungan - webshop design & crafts - A4 poster "Stockholm/Gamla stan"
Home » Interior » Posters & prints » A4 poster "Stockholm/Gamla stan"
Magda Korotynska illustrated the book "The Family Ratzbergers Guide to the Old Town." 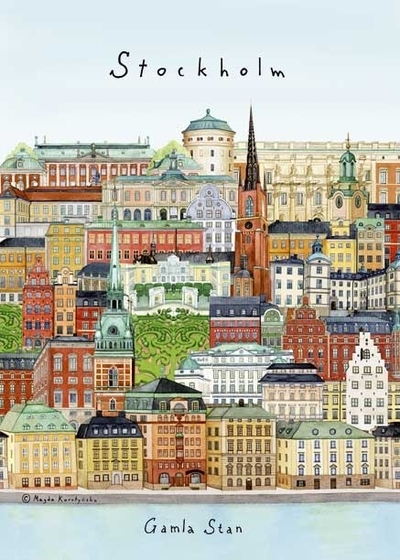 Here we see the amazing illustrations of buildings from Stockholms Old town. This mini poster/post card is a collection of all these illustrations! Wonderfully colorful mini poster/post card 15x21 cm.